Fish finders are all about technology these days. You no longer have to guess where the fish are based on weather, but you can use technology to be 100% sure. If this is your first purchase, you are definitely going to be a bit confused by all those terms such as transducers, sonars and flashers etc, yet some products do stand up in the crowd. 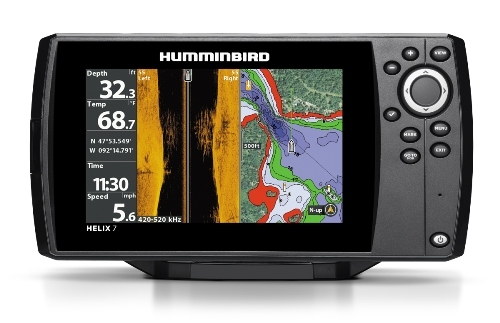 Your search will take time, but you will inevitably run into a plethora of Humminbird Helix 7 reviews. Why? Easy – these are the best rated products on the market. The real question is – which one is better and why? Here is a quick comparison of the 2 most popular types, The DI and the SI. Humminbird has gained notoriety due to its innovative features. It aims to combine classic fish finding with modernist technologies for more accurate results. 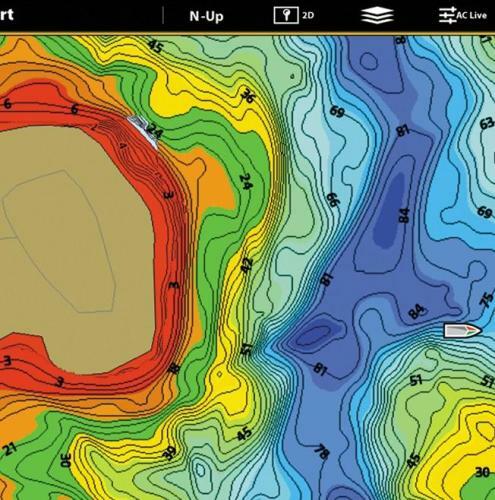 Whether you count the Humminbird Helix 7 Chirp DI/GPS G2 combo or the SI/GPS G2 model, chances are you will not be disappointed. At a first glance, they might look similar in tech specs due to a series of shared features. But as you go deeper into this review, you will soon understand what makes the difference. Which one is better then? It is up to you to decide. The GPS mode is quite accurate and instant due to the chart plotter design. It is enriched with MSAS, EGNOS and WAAS technologies. As a result, it can provide efficient results within 8.2 feet. At the same time, it will provide details that any other GPS will, such as the speed of your boat. You can store newly discovered routes – up to 45, as well as 50 tracks. There are over 20,000 points checked on each track. The patented UniMap package covers rivers, lakes and the coastline. The GPS is compatible with systems like Navionics Platinum+ or LakeMaster PLUS, among a few others. The SmartStrike compatibility is not to be overlooked either. Safety is critical when sailing. The drift alarm feature allows you to determine a particular perimeter once you anchor the boat. If it somehow drifts out of the boundaries, the alarm will notify you. The off course alarm is similar and notifies you when you miss the setup course. The Bird's Eye View setting allows a deeper understanding of your surroundings, as you can get a 3D view of the area. According to pretty much any Humminbird Helix 7 Chirp DI G2 Fishfinder review, the transducer on this unit has not been upgraded from the fifth generation due to its superior capabilities. It carries the XNT 9 DI T features, so it makes no difference what temperature the water is. The cable measures 20 feet, so it can go quite deeply. The sonar covers three frequencies – 455/800 on Down Imaging, 200/455kHz on 2D and 200/455/800kHz. The pulse is easy to modulate on more frequencies, so the imaging is accurate and clear. Forget about clutter too. Despite not being the most impressive system on the market in terms of depth, every Helix 7 Chirp DI GPS G2 review will claim on good results if you follow the instructions. It can go down to 350 feet for Down Imaging and 600 feet for 2D. For maximum accuracy, keep the speed at 1-6MPH. The control panel is quite intuitive and straightforward. If you have used other similar systems, you should have no problems with Helix 7 Chirp SI GPS. It is available on a 7 inch display with LED backlighting and a classic 800x480 resolution. Getting used to it is a matter of minutes. Connectivity is general – nothing special, nothing bad. Since you mostly use it on water, the system is IPX7 waterproof. According to most reviews, ​ it will get the job done. You have no Ethernet connectivity, so no upgrade can be conducted online. However, you have a microSD card reader, as well as a solid NMEA 0183 port. In other words, this is how you do all the chart upgrades or data transfers. Sonar recordings follow the same procedures. A mount is available in the package, although you can also invest in a different mounting kit in the dash. The SI/GPS version of Helix 7 Chirp GPS G2 comes with an innovative 3-in-1 sonar. Basically, you have three different options – Down Imaging, Side Imaging and DualBeam Plus. No matter which option you choose, you benefit from the Chirp technology. Simply put, the pulse goes over multiple frequencies and not just one. Separating targets is more efficiently done. Clutter is also reduced, while the display will clearly show a difference between actual fish and random structures. According to the manufacturer, this system can go down to 150 feet for SI and DI. When you use the DualBeam Plus feature, it goes down to 1,500 feet. Plenty of the reviews claim on accurate results and displays even if you slightly exceed the maximum recommended depth though. It is worth noting that a 50/200kHz deepwater transducer will turn the fish finder into an industrial model, with depth abilities going down to 2,500 feet in 2D. 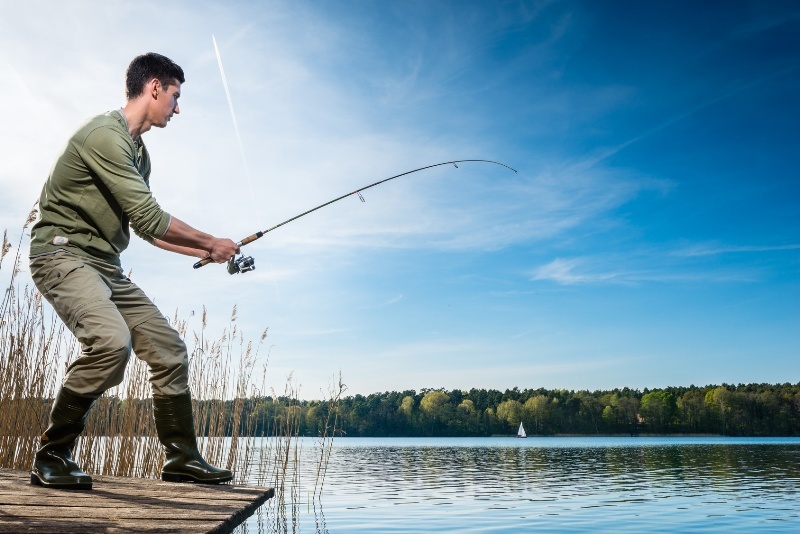 Unless you run an expert business, chances are it is more than enough for regular fishing. The transducer available on Humminbird Helix 7 Chirp SI/GPS G2 carries the XNT 9 SI 180 T quality features. Furthermore, it features a transom mount. The cable measures 20 feet and temperature is less likely to affect your results. There is a sensor integrated into the transducer. Just like you have probably guessed already, the transducer will support the Chirp sonar with no problems at all. Navigation is one of the main considerations in this model due to the AutoChart Live capability. You can map and remap particular bodies of water as you sail. On a side note, you will need a card to use the feature – ZeroLines, Navionics or LakeMaster. You will, however, gain some extra options in the menu once you get a card. The drive can stock around 8 hours of mapping. Those who need more information can always purchase a card. UniMap charts are preloaded. They may not be the most detailed options, but they do cover lakes, rivers and the coastline. They will keep you safe and supply enough information for an efficient navigation. The GPS receiver is internal and enhanced with MSAS, EGNOS and WAAS technologies. It will store 50 tracks, 45 routes and 2,500 way points. It will also display your speed as you sail. 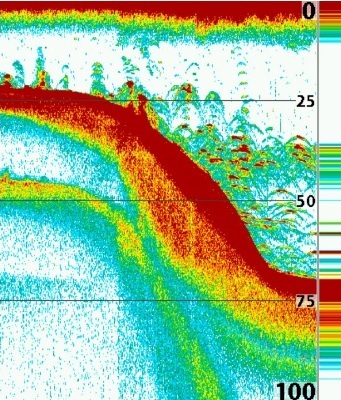 Most Humminbird Helix units share a series of features. Many of them have something to do with the sonar and this one makes no exception either. 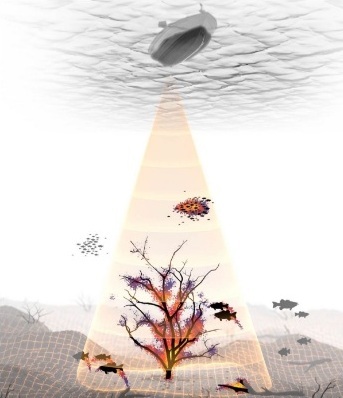 Some of the most significant settings include sonar recording, SwitchFire, screen snapshot, Selective Fish ID+, split zoom, Real Time Sonar or bottom lock. Fish alarms are quite handy if you are not paying too much attention. The unit will ring an alarm whenever it detects good amounts of fish underwater. Other alarms let you know when you lose track of your selected route or you exit a preset perimeter for your anchored boat. 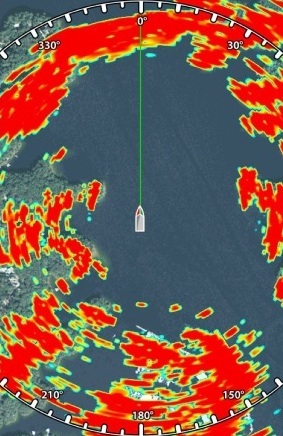 Bottom line, choosing the right fish finder can be tricky, but not impossible. 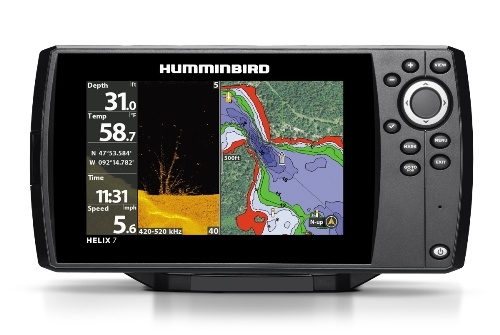 There are numerous Humminbird Helix 7 reviews to help you make a more informed decision. Generally speaking, you should make this decision with your personal needs in mind. Make sure you understand what a fish finder can do for you, but also learn how each feature works. Based on capabilities and reviews, the SI is probably a bit better due to its combined features. However, it also costs a little more. It has more abilities than the DI fish finder though. Our independent tests revealed different scores, yet the SI/GPS model is still better at 4.8 out of 5 stars. The DI model was not too far behind with 4.7 out of 5 stars.